Hi everyone! We are joining Athena’s Caturday Art Blog Hop and Ten Things of Thankful too. My art this week is my finished book apples. I also started playing with buttons again. Can you tell what this is? It is a gift for my friend’s daughter. I have so many buttons and I am out of ideas. I have made cats, pumpkins, ghosts, skulls, a TARDIS, a shark, and an elephant. Any ideas of something else I can make? winning a necklace from Cat Chat with Caren and Cody, it will be made using ashes of my 5 angel kitties. We are praying for all of you that live in the path of Irma. Be safe. Hi everyone! Sorry if I squeeze so many hops into one post, but I love to hop and don’t want to miss any. Today we are joining one that I have only hopped in once before. Create with Joy’s Inspire me Monday is filled with great recipes and craft ideas. I thought it would be a great place to share button art. Some of these are on canvas, but I also used blank cards for some too. This is a fun way to make Halloween cards. I drew a ghost on the black cards with chalk and then covered it over with white buttons and some pearls. For the pumpkins, I traced a circle on a white card and glued orange buttons over it. I didn’t have green buttons so I used turquoise. This photo of Joanie with my books of the week is for Comedy Plus’ Awww….Mondays and Book Date’s It’s Monday! What Are YOU Reading? I actually read 2 books about cats this week. One was awful , A Cat Called Hope by Oliver Clarke. I thought it was a true rescue story, but it was fiction about a man who abuses his family and the cat. I am glad it wasn’t a true story, but I found the descriptions disturbing and I am sure similar things do happen. Peter The White Cat of Trenarren by Alfred Lestie Rowe published in 1974 is a great book that the author wrote about a beloved cat he had back in the 1950’s. Finding books like this are why I go to book sales. One more book worth telling you about doesn’t include a cat, but it really makes one think. Unfinished Business by Lee Kravitz is about the author trying to right any wrongs of his past. At the end of the book is a toolkit to help you identify and unfinished business you may have. I just finished the book and I plan to use the toolkit. And last, but not least is P.S.Annie’s 19-Somethin. The question of the day is When did you have your first microwave in your home and were you afraid it would make you sick?I don’t remember the exact year we got a microwave, but I know it was the early 1980’s and I was not afraid of it. Does anyone have the number for Ghostbusters? I saw a bunch of ghosts in my house. I am just kidding. This is some more of Mom’s button art. The elephant was for her cousin’s baby’s room and the eye is for Grammie. I love my Grammie so very much, she wears a necklace with an eye so I told Mom to make her an eye out of buttons. She also made these ghosts for Halloween. She made a bunch of pumpkins too and the blue thing is supposed to be a cat ( I have never seen a blue cat, but that is OK) . Can anyone guess what these are? One of them is going to be part of my giveaway that I am doing tomorrow. 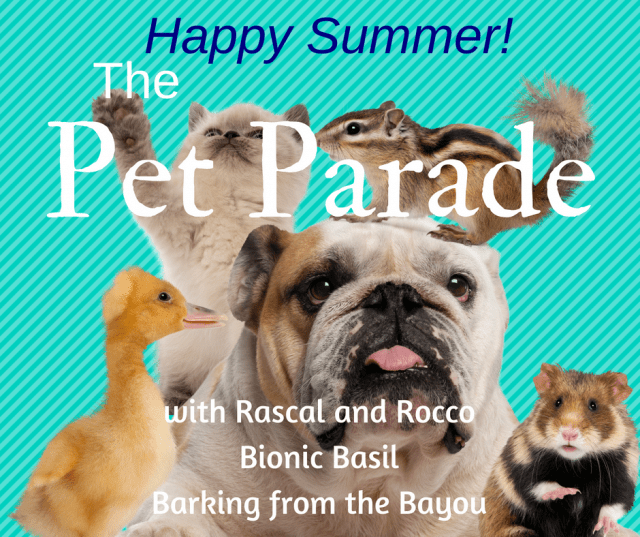 We are joining Athena’s Caturday Art Blog Hop and Rascal and Rocco’s Pet Parade– they are celebrating 3 years of parades! Hi everyone! 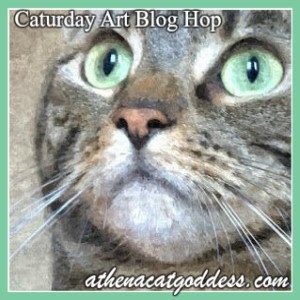 We are joining Athena’s Caturday Art Blog Hop today. Phoebe wanted to be patriotic for the 4th of July so she used pho.to to face paint some flags on her cute little face. I was able to find one more package of blue buttons at a different Michael’s store, but it wasn’t enough so I made the bottom with green and tan to be like sand and grass. Should I add buttons to fill in the entire picture or just keep a plain background? And, can anyone tell what the blue thing is? I made that on a blank note card. I also wanted to tell you about the button artist I gave you a link to last week. She recently participated in the Sing for Hope project to help bring art to children in need. 25 artists are chosen to each decorate a donated piano and she did hers all in buttons. These pianos will be all around NYC in June, to see her design click here. Thank you to all who joined in the Friendly Fill-Ins yesterday. I am enjoying getting to learn more about everyone. Phoebe will be here tomorrow with a sign-up list for those traveling shades. Hi everyone! Thank you to all who participated in the friendly fill-ins yesterday. You can link up until Wednesday. 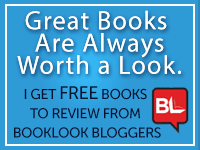 I apologize that my linky is not working, but McGuffy’s Reader is so you can add links through there. I don’t know why Blogger has no problem with the code and my WordPress hosted through GoDaddy does. I have been attempting to make a button art cat , but I have a long way to go. It is supposed to be a black cat, but I need to fill it in more. I love button art- has anyone out there made any? I hope this qualifies for Athena’s Caturday Art Blog Hop. This one was hanging in the vet’s office, one of the vet techs made it and it sold for over $200 ( not sure of the exact price). If you want to see her other work, click here. We are also joining Rascal and Rocco’s Pet Parade. And don’t forget to leave a comment to be entered into Phoebe’s giveaway- she will announce the winner tomorrow. Saturday again already and we are hopping. First off is Feeling Beachie’s weekly hop and this week’s co-host is PAM from TROOPPETRIE she came up with THE LAST TWO statements. GET your SWEATERS OUT OF STORAGE because FALL IS ALMOST HERE-YAY! This week I didn’t do any photo editing. As you know I spent lots of time at the vet’s office with Lucy. One of the technicians is also a photographer and artist so some of her work is on display. I thought this was so beautiful and I can’t imagine how long it took to get all those buttons on there. Her Facebook page has many more designs, there was a beautiful one with 2 calicoes as well as other designs like chickens and coffee cans. I took this photo a couple of weeks ago , Lucy and Joanie are waiting for a lick of butter at breakfast. I will be happy when Lucy does this again. Phoebe will see you tomorrow!